Would CompuBox Stats Help Boxing And MMA Prop Betting? On the eve of the Super Bowl, ESPN is airing a major boxing event live from the Dallas Cowboys’ practice facility, the Ford Center at the Star in Frisco, Texas. 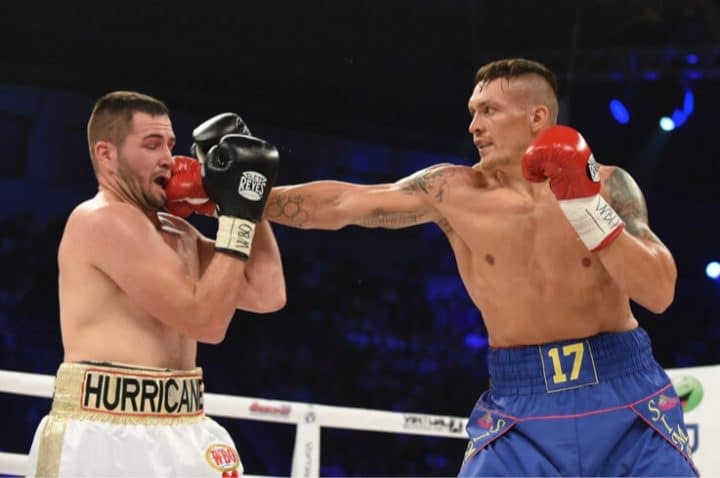 The card is headlined by a light heavyweight title bout between Eleider Alvarez and Sergey Kovalev, a rematch to the most high-profile upset in the sport in 2018. With the fight just days away, if you want to do some legal, regulated sports betting on it, your options are to pick a winner (Alvarez is currently a slight favorite to repeat his victory of six months ago) or, if you want to be adventurous, get specific about whether it will be a knockout or decision. And if you really want to get crazy, you can try to target in what round or range of rounds the bout will end. That’s about it. If you want to bet on the Super Bowl, meanwhile, there are literally hundreds of stat-based props. Look hard enough and you can find one for just about every individual player on either roster. Boxing, and its combat-sports cousin MMA, come up far short in terms of creative betting options. Now CompuBox, the company that began counting punches to enhance boxing broadcasts in 1985, is interested in doing something about that. For those who are unfamiliar with how CompuBox works, the operation is really quite simple, though it takes extensive training to develop punch-counting skills. Two operators work a fight, one assigned to each boxer. (CompuBox has also been applied to MMA, but the vast majority of the company’s experience is in boxing.) Sitting at ringside, the punch counters press buttons on their computers every time a jab lands, a jab misses, a power punch (anything that’s not a jab) lands, or a power punch misses, plus they’ll also account for whether each punch is to the body or the head. It’s a lot to keep up with, especially when a high-volume fighter is in the ring. The punch counters practice until they’re highly proficient at perceiving whether a blow lands and at pressing the right buttons, but there is always some human error involved. To expect otherwise would be like expecting a baseball umpire to get every ball or strike call correct while a pitcher uncorks a couple dozen pitches per minute at sporadic intervals. The operation has grown gradually more sophisticated since Bob Canobbio and Logan Hobson first launched CompuBox more than three decades ago. But never has CompuBox claimed to be a substitute for scoring a fight or a final word on who won. Their stats simply provide a guideline, a numerical reference point to enhance the viewing experience. And perhaps the betting experience. It was an offshore operation, though, that first raised Canobbio’s antennae about the possibility. For the 2017 Floyd Mayweather-Conor McGregor spectacle, one overseas book put up props based around CompuBox stats. More recently, for the 2018 Oleksandr Usyk-Tony Bellew cruiserweight title fight, another offshore outlet contacted CompuBox about getting their round-by-round stats for betting purposes. Those two instances attracted Canobbio’s attention. The possibilities for building bets around CompuBox stats are endless. Bookmakers can set lines for punches thrown by one or both fighters, either over an entire fight or in an individual round. They can do the same with punches landed. They can break it down into jabs or power punches, head shots or body shots. They can create comparative props. For example, “Who will land more punches in Round 1, Alvarez or Kovalev?” They could even offer bets that cover multiple fights, such as whether Alvarez will land a higher percentage of punches than Teofimo Lopez does on the undercard. We asked Simon Noy, the head of in-game at betting service provider Kambi, which powers such products as DraftKings Sportsbook, Play Sugarhouse, and the sportsbook at Parx Casino, whether he feels boxing and MMA betting could use a bit of spicing up. “Boxing and MMA are, by their nature, exciting sports to bet on, as even if your pick looks in trouble, you always have a puncher’s chance of winning your bet, keeping outright bettors engaged throughout,” Noy said. “That said, the range of markets available can often be limited, which is why at Kambi we continue to develop new pre-fight and in-fight bet offers to appeal to a range of bettors. So there are some creative prop bets out there already — not to mention many sites offer more straight-forward props like whether a fighter will or won’t get knocked down. Still, Noy acknowledges that punch stats would open up a whole new avenue for combat sports betting, if state regulatory bodies were to approve those wagers. The level of demand is hard to determine with confidence, especially if you use as a barometer CompuBox’s foray into daily fantasy sports. CompuBox launched Throwdown Fantasy in January 2014, and the experiment lasted a couple of years. Canobbio says they had “about a thousand people registered,” and the contests were mostly for modest stakes. Players picked teams of five boxers spread across a week or two of scheduled fights, staying within a salary cap. DK does currently offer fantasy MMA, and it does incorporate “significant strikes,” a CompuBox-style statistic where some amount of subjectivity can enter into the scoring. On some boxing broadcasts that incorporate CompuBox stats — which nowadays means almost every credible boxing broadcast — the director will occasionally show the punch stats updating in real time on the screen. In-game betting is already part of boxing wagering in the sense that the odds on the outcome of a fight will adjust throughout the contest. But just as you can bet on the next point or game of a tennis match, real-time updates of punch stats open up the possibility of betting during the one-minute interval between rounds on the punches that will be thrown or landed in the next three minutes of action. “I definitely think there’s a market for it, and if the operators wanted to get a real-time feed of our stats, that’s something we’d have to broach with each of our clients [the networks],” Canobbio said. “The way our technology is, we send a signal to DAZN or Fox or Showtime or ESPN. It’s very easy now just to send the same signal, the same data stream, to another client. It could be done. It’s not extra work. It’s just a matter of if the client would be okay with that. In the end, whether you’re talking about in-game betting or pre-fight wagers, the viability of CompuBox-based betting starts with the question of regulatory approval. There is subjectivity baked into the scoring of the bets when CompuBox stats are involved. Granted, that’s true of other sports as well; in baseball, a scorer decides if an at-bat goes down as a base hit or an error, and in basketball and hockey, there’s a judgment-call element to determining assists. But the possibility of bettors crying foul if their perception of the punches counted doesn’t line up with the official data is clearly greater, given that the CompuBox trackers make hundreds of little human decisions every fight. Let us not forget the outrage among some bettors over one blown call late in the NFC Championship game two Sundays ago. With CompuBox-based bets, there would undoubtedly be a backlash if winning or losing real money comes down to a punch or two. The added scrutiny is definitely something Canobbio has considered. From Kambi’s perspective, Noy says the subjectivity involved is hardly a disqualifying factor.